Let’s start with the title. 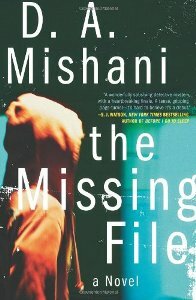 There is no file missing in The Missing File, the debut novel of D. A. Mishani, which has just been published in English. Rather, this police procedural novel revolves around the case of a missing Israeli teenager. The meaning of the title became clear to me when I considered the original, Hebrew name of the book, ‘Tik Ne’edar‘, which was published in 2011. 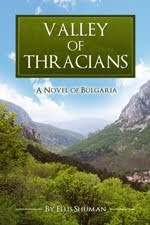 The book’s title should be stated with an emphasis on the second word. There is a teenager missing, and Detective Avraham Avraham has been assigned to find him. When the mother of 16-year-old Ofer Sharabi shows up in the Holon police station to report her son missing, Avraham doesn’t see any urgency in the case. “‘There is very little chance that something has happened to your son,’” he tells her. “‘I don’t think there is any point in starting to search for him now,’” he concludes. 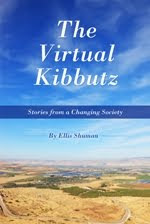 The boy doesn’t turn up overnight and the police arrive at the Sharabis’ home to question the mother and her neighbors. Ofer’s father is not yet aware of his son’s disappearance; he is a seaman onboard a ship bound for Trieste. We follow the stories of these two main characters in parallel. On the one hand, we see Avraham launching his investigation, consulting with colleagues who seem to have nothing better to do than interfere in the process. We hear them discuss how to interrogate witnesses to a possible crime. On the other hand, we learn that Avni has an unusual interest in the case; he seems to know where the police should be looking for Ofer. Both characters are flawed, and this makes them totally believable. A bachelor in his thirties, Avraham has to deal with his misgivings for not launching the investigation the minute he learned of the teenager’s disappearance. He leaves the case temporarily, fulfilling the requirements of a previously arranged department exchange program that takes him to Belgium. Meanwhile, Avni, a father and an aspiring writer, needs to handle his wife’s reactions when she learns why he is so interested in the disappearance of a teenager he had tutored during the school year. The pace is slow, but the pieces of the puzzle keep falling into place. This is the kind of novel where everything is there for a reason. Nothing is missing in The Missing File, a compelling crime novel. While not directly connected to the case, even the short interlude in Brussels has a role to play. Avraham has a habit of watching “Law & Order” episodes and picking out mistakes in the investigations. This knowledge may lead readers to look for mistakes in The Missing File. But, toward the end of the book when it becomes obvious who is responsible for Ofer’s disappearance, the author still manages to throw in one last twist that will overturn a conclusion that minutes before seemed so certain and final. “‘Do you know why there are no detective novels in Hebrew?’” Sharabi asks Ofer’s mother in their first conversation. This question is repeated three times during the course of the novel, with at least one possible answer being offered. The last three words of The Missing File give a better reason. The book ends with “To be continued…” This doesn’t mean that we will hear more about young Ofer Sharabi in the near future, but rather that we haven’t seen the last of Avraham Avraham of the Israeli Police. Mishani’s new novel, A Possibility of Violence, has just been published in Hebrew. English readers will certainly meet Avraham Avraham on his next case very soon. Buy The Missing File and read it now! Can an Israeli Author Call Canada Home?